On the flip side, as little as six years of sedentary living increases your odds for the condition, which is the leading cause of hospitalization in people over age 65. "In everyday terms our findings suggest that consistently participating in the recommended 150 minutes of moderate to vigorous activity each week, such as brisk walking or biking, in middle age may be enough to reduce your heart failure risk by 31 percent," study senior author Dr. Chiadi Ndumele said in a university news release. "Additionally, going from no exercise to recommended activity levels over six years in middle age may reduce heart failure risk by 23 percent," he added. Ndumele, a cardiologist, is an assistant professor of medicine at Johns Hopkins. He and his team tracked data on the activity levels of more than 11,000 adults. Each participant was monitored for heart attack, stroke, heart failure and other heart-related events for an average of 19 years. During that time, nearly 1,700 people were hospitalized and 57 people died due to heart failure. Unlike a heart attack, when heart muscle dies, heart failure is a chronic condition. It means the heart has trouble pumping blood and oxygen throughout the body. Risk factors include high blood pressure, high cholesterol, diabetes and smoking. As part of the study, the participants were divided into groups based on how much exercise they reported getting each week. 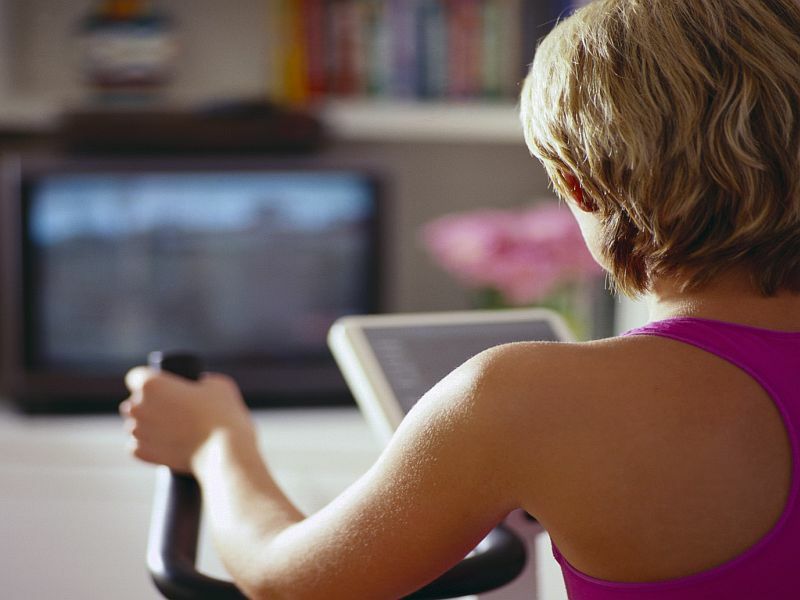 The most active said they got at least 75 minutes of vigorous activity or 150 minutes of moderate exercise every week. Intermediate exercisers got between 1 and 74 minutes of vigorous activity or up to 149 minutes of moderate activity. The least active people reported no physical activity at all. Initially, 42 percent reported getting recommended amounts of exercise; 23 percent were intermediate exercisers; and 35 percent were sedentary. Six years later, 24 percent of the participants had increased their activity; 22 percent were doing less; and 54 percent were exercising as before. Those who got the recommended amount of physical activity throughout the study were 31 percent less likely to develop heart failure than those who consistently got no exercise, the researchers found. Participants who increased their activity reduced their heart failure risk by about 12 percent. But those who exercised less saw their odds rise by 18 percent. The study, published May 15 in the journal Circulation, doesn't prove that exercise is directly linked to heart failure risk. Based on their findings, however, the researchers suggest it may never be too late to reduce the threat of heart failure with moderate exercise. "The population of people with heart failure is growing because people are living longer and surviving heart attacks and other forms of heart disease," said study lead author Dr. Roberta Florido, a cardiology fellow at Hopkins. "Unlike other heart disease risk factors like high blood pressure or high cholesterol, we don't have specifically effective drugs to prevent heart failure, so we need to identify and verify effective strategies for prevention and emphasize these to the public," she said. Drugs used to treat heart failure, such as beta blockers and ACE inhibitors, simply help reduce the workload on the heart after its function has already started to decline, the study authors explained.